American Standard is a company that creates products that are a higher quality than most. With them, you can expect high style and performance. They create toilets that perform beyond all expectations and have a 1﻿﻿0-﻿﻿yr warranty to give owners peace of mind when buying. One example is the Champion 4 toilet, which is made using Vitreous China. It is similar to the standard model except for one key difference. 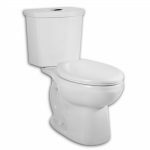 To find out why it has an overall rating of ﻿﻿﻿﻿﻿4.6 sta﻿﻿rs, you should read our American Standard Champion 4 Right Height toilet review. One of the first things you must consider when looking at this toilet is the “right height” seat. This toilet bowl is elongated to give you plenty of room. 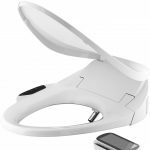 It also allows you to sit down at 16 1/2" toilet seat height. This makes it easier for elderly and people with disabilities to sit on and get up from without help from others. It features the EverClean surface that ensures stains are not able to stick inside the toilet bowl. 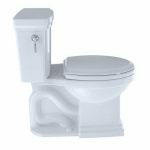 With this, you will also never have to worry about bacteria, mold, mildew, or dust, which may stick to other toilets and make them gross. 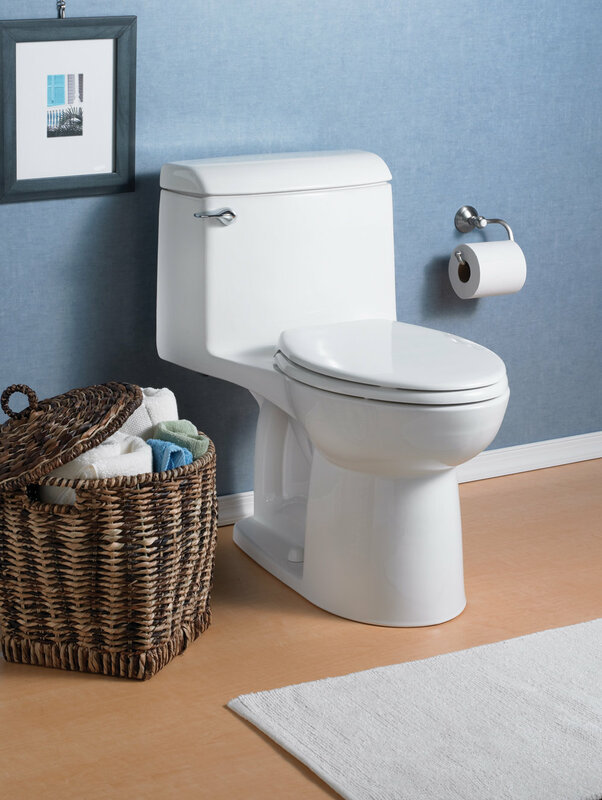 To further ensure that your toilet stays clean, you will find out that there are no creases or crevices. That is the benefit of having a single piece toilet; no place for nasty things to hide. Even the large, 2 3/8in trapway is fully-glazed to give you confidence that when you flush, nothing will be left behind. 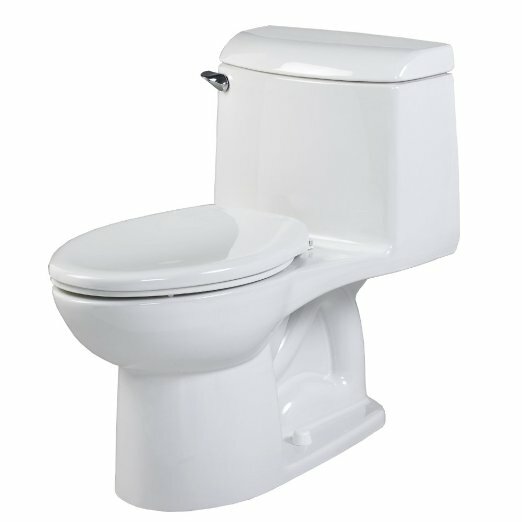 This toilet has a 4-inch piston action accelerator flush valve to ensure that it is going to flush powerfully. 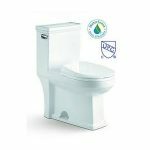 The flush valve is then 100% factory flushed tested and compliant with the Americans with Disabilities Act (ADA). 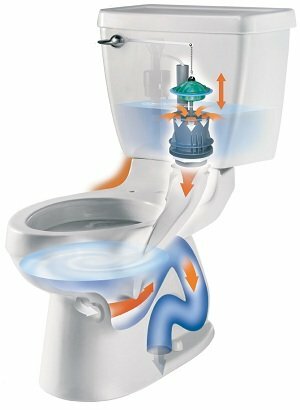 It uses 1.6 gallons of water per flush, which means it is a low consumption toile﻿﻿t. If you're looking for a dual flush option, consider American Standard's H2Optio﻿n toilet. 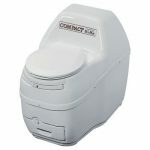 The Champion 4 Right Height toilet is covered by a full, worry free, headache free, 1﻿﻿0-﻿﻿year﻿﻿ warranty. 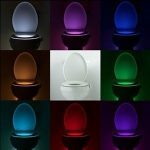 This proves that you can have a quality, dependable toilet for many years. It is also available in bone, linen, or white color choices to help you with decorating around it. This elongated toilet is larger than most toilets. This poses a problem for some people. It may not work well in a small sized bathroom or for small children, both because of its' height and the elongated aspect. Current owners say that it is a great toilet if you get beyond the size. 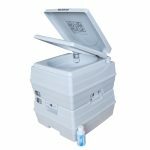 Most say that even though the water does not fill up the entire bowl, the Champion 4 Right Height toilet will not clog, even if your family tries to flush too much toilet paper at one time. Some do mention the weight as being an issue when installing. There is also some who feel that the 4-in piston action accelerator flush valve is hard to install for someone who may not be mechanically inclined. 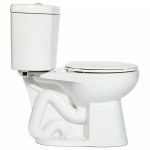 ​Is The Right Height Toilet Right For You? 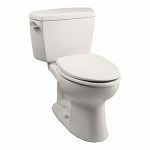 An American Standard toilet is a quality toilet that meets all of our safety and usability requirements. It is also a more affordable and highly rated option than the classy American Standard Town Square Flowise. The biggest thing to consider when trying to decide if it is right for you or not is the size. If you have a small sized bathroom or are unable to lift 117 pounds, you may want to reconsider your choices. The weight is especially a concern for anyone who may be hoping to install it without help. When actually setting it down on the toilet ring gasket, you have to be able to lift it up and set it straight down onto the gasket. Otherwise, you may have leaks. 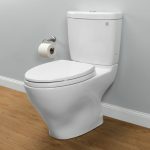 If neither of these size issues are a concern for you or your bathroom, you should be completely happy with the purchase of your new toilet, if you choose to purchase it. It will be easy to get up and down from, easy to clean, and ideal for most people. Ready to Purchase the Champion?